Remember that St Patrick's Day party where you got so rekt someone — God bless their thoughtful soul — took your phone and ordered you a Lyft ride home at 5am? Of course you don't, ha! The driver? Blank space. The total you paid? Who knows. Did you puke in the car? Probably, maybe, I suppose. And where the heck did you leave that giant green leprechaun hat? And the green clover that you used to cover your, erm, private bits when you got naked and danced on the flooDAMMIT THAT HAPPENED?! Lyft now remembers some of these things for you. It won't exactly know what crazy shenanigans you did — those will live forever on everyone's phones, social feeds, and YouTube — but it will give you a detailed history of your rides with the service. The pick-up and drop-off locations, ride map, and detailed pricing are now available inside the app instead of only being accessible from the emailed receipt you'd get after rides. You'll also be able to tip drivers, request a review (though in the St Patrick's Day case, you should definitely refrain from that), and ask about lost and forgotten items. The update has now hit the Android app, even if the image above shows it on an iPhone. Blame Lyft's blog and the lack of updated screenshots on the Play Store. Take a trip down memory lane. We’ve added your ride history, complete with details about every trip, to the app. 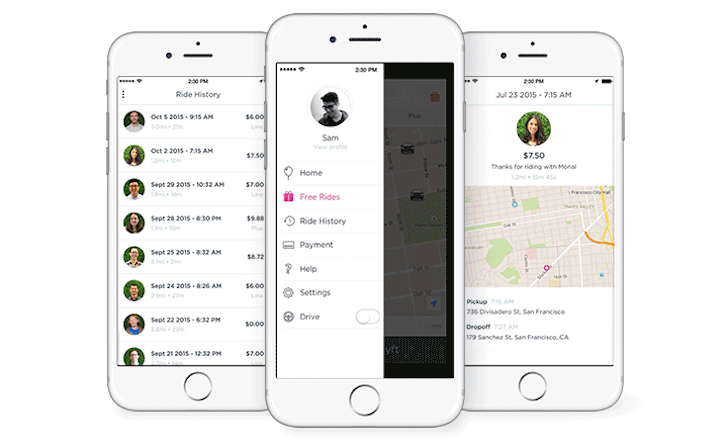 See the price breakdown, check out the map, report lost items, request a review, or pay a tip for every Lyft ride you’ve taken.